This lovely 10" plate is perfect for everyday use, or for that special dinner party you're dying to have. It's perfect for appetizers, bread, or just about anything. 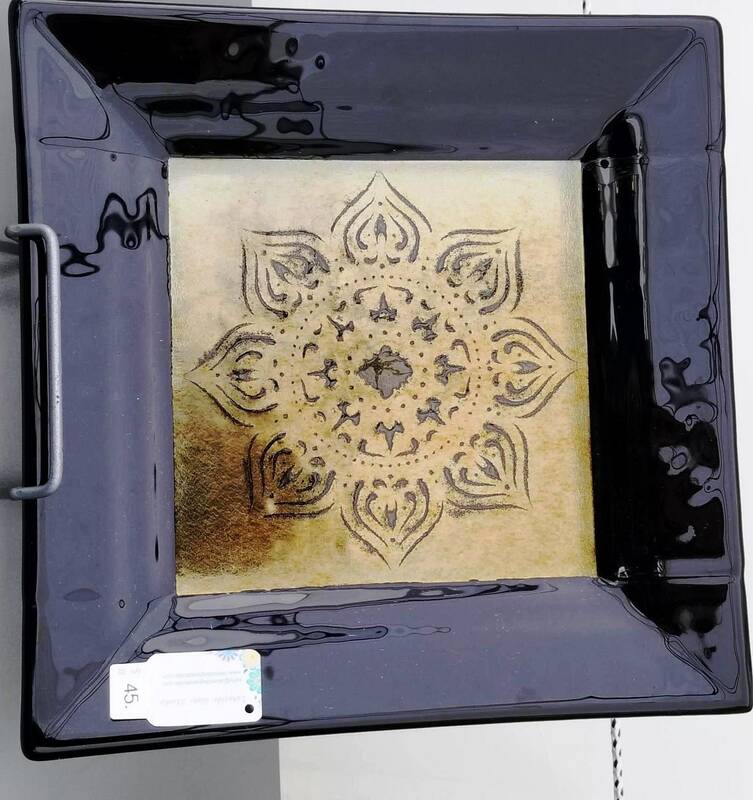 The gold mandala pattern is embossed in the plate and it is food safe. Please wash by hand and do not put it in the microwave. It is annealed in my digital kiln to ensure a long, happy life among your serving dishes.